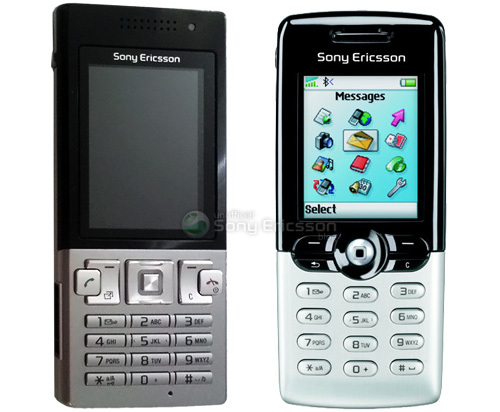 Sony Ericsson Might Remake The Classic T610 | OhGizmo! The Sony Ericsson T610 was the first GSM phone I ever owned, and even though it was released over 5 years ago, I still see a lot of people using them today. (Mine was sold to a friend and eventually met an untimely death in a washing machine.) It was probably one of SE’s most popular handsets to date and the Unofficial Sony Ericsson Blog is reporting that the company is actually planning a remake. There’s no official product name yet for the T610 sequel, just the codename Remi, but I think something like T610-2: Judgement Phone has a nice ring to it. Other details about the phone are a bit scarce, but since it will apparently be based on the W890 platform, the Unofficial Sony Ericsson Blog has made a few guesses. The new T610 is a slim candy bar phone based on the W890 hardware platform. This means we’re looking at a phone with a waistline at about 10 millimetres, and it will probably end up at 10.5 centimetres in length, and 4.7 centimetres in width, but my assumptions are based solely on W890’s dimensions. Parts of the body are apparently aluminium, which seems rather nice, and much T610-like as well. So… specifications. It’s running the A2 software platform, like the W890 and many others, and it’s an HSDPA-enabled phone. The camera on the back is a 3.2 mega pixel one, unfortunately only with fixed focus. Of course at this time there’s also no information on pricing, release dates or where it will actually be made available. I had a T610 too – I actually still do, but I gave it up because of a wonky keyboard which was getting in the way of my text messaging. I was pretty attached to it, so it pains me to see this ugly thing as its successor. Really, it might have uber-features for all I know, but can’t anyone see it looks worse? Too many straight angles. The T610 was also my first GSM phone. I loved it dearly, and unlike Jen up above, I think that his successor doesn’t look half bad (though, sizing it up with a nearby ruler reveals it to be significantly larger than its namesake, if those measurements are to be believed). As a current iPhone owner, this is likely the only thing at the moment that could draw me away from the ooh-aah toy department that is the 3G iPhone.